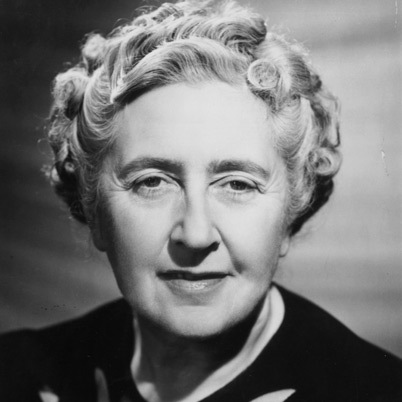 Tomorrow we should all drink a toast to Dame Agatha Christie. She was born on September 15, 1890 in Torquay in the UK. She’s the lady who led me to my love of the mystery genre and my love of all things British (Sir Arthur Conan Doyle was the man who did the same thing- wouldn’t they have been a formidable team as co-writers?). So, drink a toast with me to the grand dame of mystery and maybe even sneak in a slice of cake but don’t make me read that new book coming in 2014, okay? Fair enough. I’ve never seen the voice remain the same when someone else takes over a character or type of story. So yeah, I don’t read “continuing sagas” unless they are done by the original author. Sometimes, it’s just best to let things lie. She was, is one of my favorite authors. I even watch the TV movies of her stories. How about if I toast her with your new book? LOVE her work! I agree, AC is one of my all-time favourite authors and Joan Hickson as Jane Marple and David Suchet as Poirot are the 2 best actors for the characters. I just wish Joan Hickson had agreed to play the part when AC first asked her to. Total agreement, Sherry. Great characters and great actors.